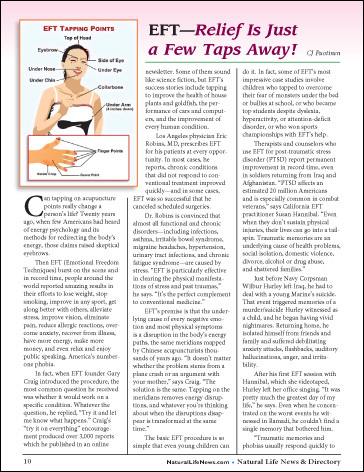 EFT—Relief Is Just a Few Taps Away! Can tapping on acupuncture points really change a person’s life? 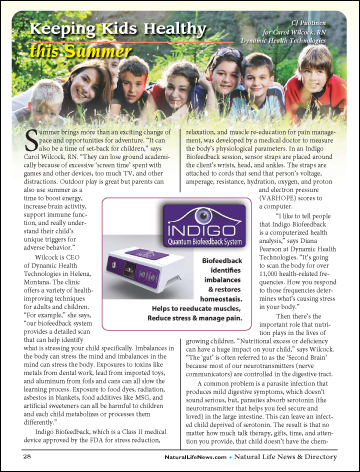 Twenty years ago, when few Americans had heard of energy psychology and its methods for redirecting the body’s energy, those claims raised skeptical eyebrows. Then EFT (Emotional Freedom Techniques) burst on the scene and in record time, people around the world reported amazing results in their efforts to lose weight, stop smoking, improve in any sport, get along better with others, alleviate stress, improve vision, eliminate pain, reduce allergic reactions, overcome anxiety, recover from illness, have more energy, make more money, and even relax and enjoy public speaking, America’s number-one phobia. Wilcock is CEO of Dynamic Health Technologies in Helena, Montana. The clinic offers a variety of health-improving techniques for adults and children.